Route 21 Märzen – Braumeister Brewing Co.
Clifford Porter – Clifford Brewing Co.
McNall’s Mission – Cowbell Brewing Co. Renegade #022: Amber Belgian Rye Peppercorn IPA – Cowbell Brewing Co.
Breakfast Milk Stout – Grain&Grit Beer Co.
Berry Good Sour Ale – Grain&Grit Beer Co.
Bam Oida – Grain&Grit Beer Co.
Cherry Porter – Maclean’s Ales Inc. Absolutely Guaranteed Premium Ace Famous Olde Tyme Capitol Special Club Pale Ale – Muddy York Brewing Co.
Cognac Barrel-Aged 1793 Barley Wine – Muddy York Brewing Co. Diving Horse Pale Ale – Muddy York Brewing Co.
Fox Hunter Dry-Hopped Sour with Kiwi – Muddy York Brewing Co.
Sherry Barrel-Aged 1793 Barley Wine – Muddy York Brewing Co.
Captains’ Keep – Northern Maverick Brewing Co.
Pommies Cranberry – Pommies Cider Co.
Pommies Red Sangria – Pommies Cider Co.
Stout Beer – Woodhouse Brewing Co.
A group of 12 breweries in Ottawa and surrounding regions have announced details of a multi-brewery advent calendar featuring 24 mystery beers. Ottawa’s Craft Holiday Beer Calendar has been organized by Nita Beer Co., and features two beers from them as well as beers from Whitewater Brewing Company, Brasserie Tuque de Broue, Kichesippi Beer, Covered Bridge Brewing, Crooked Mile Brewing, Vimy Brewing Company, Cartwright Springs Brewery, Broadhead Brewing Company, Stray Dog Brewing Company, Whiprsnapr Brewing Company, and Clocktower Brew Pub. Each beer is marked with a number from 1 to 24. These 24 brews are to be consumed on the specified date in December, leading up to the 25th. Wellington Brewery is excited to announce the release of the 5th volume of their Welly Re-Booted Mix Pack. With a selection of unique beer styles including Spice Odyssey, Ice Eater, Candle Burner, and Wellington’s Imperial Russian Stout. 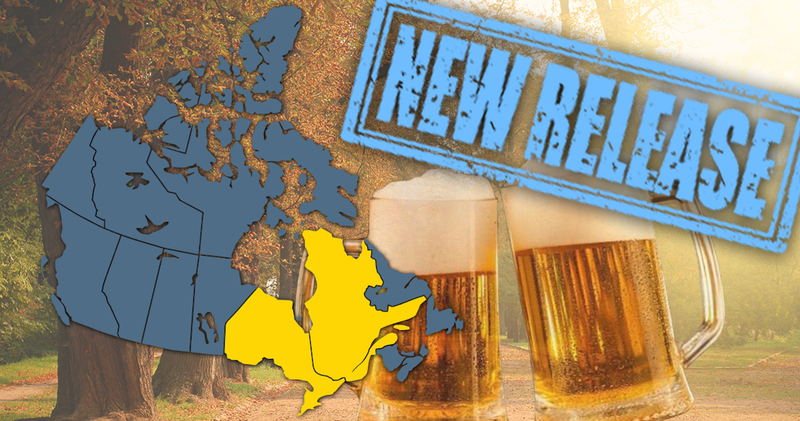 Did we miss a recently released Central Canadian beer?